Full disclosure — I grew up Southern Baptist, which means I heard constant warnings of the ‘end times, AKA the ‘rapture.’ It turns out that predicting the end of the world hasn’t been just prone to mainline Christianity; people have attempted to predict the apocalypse since the beginning of civilization. But a new, unnerving article chronicles one tech professor’s recent venture to a private resort to meet a small handful of billionaires. Their query? How to survive the end of life as we know it. Yes. According to 57-year-old, New York City-native, documentarian and writer Douglas Rushkoff, five of the most richest people in the world were grilling him on what to do once ‘the event’ takes place. Yes! Thank you Ms. Allison. There’s a simple fix here. Rushkoff’s article goes on to explain how the billionaire ballyhoo has essentially lost all faith in humanity, believing we’re all “too far gone.” His advice for them now is to simply treat their security, their ‘people,’ great. Ya know – treat them like people. Is this report total B.S.? It’s possible. 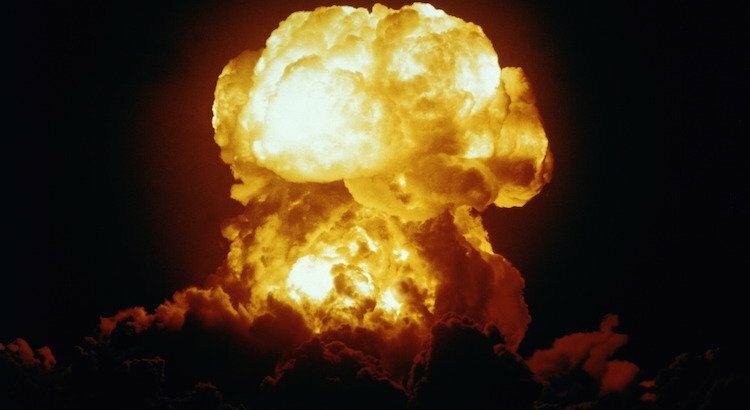 But since humans have been terrified of impending doom since the beginning and we’re facing an incredible amount of obstacles heading into the middle of the 21st century, let’s have some fun and take a look at what is most likely to kill us all. Artificial intelligence, according to Elon Musk and Mark Zuckerberg. A meteor, gamma ray, violent solar flare, or anything else interstellar crashes into the Earth. A pandemic, including biological warfare. It (everyone who’s seen a clown knows he’s real). Kanye reveals he is the second coming of Christ. See? Plenty of reasons to sleep tight tonight. Josh Helmuth is a sports reporter who lives in St. Louis and contributes to Mandatory.